As part of our ongoing series where we talk to Communications agencies across the world, this month finds us learning about the Australian market. Can you give us an introduction? 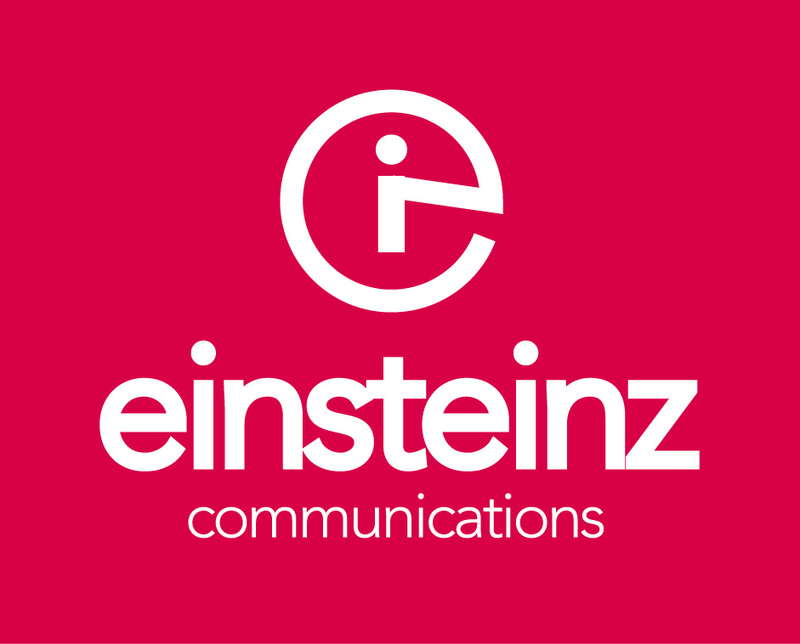 I’m Pru Quinlan, CEO and founder of Einsteinz Communications, a specialist Australian based PR consultancy working with tech, ad-tech and fin-tech companies. We opened our doors 16 years ago and provide a broad range of communications support to our clients. We are particularly proud of the fact that a number of our foundation clients still work with us, as do many of our original staff! What are the latest technology trends you are seeing at the moment in Australia? On the enterprise side of things data, mobility and analytics continue to hold their position as industry darlings, but IoT (the Internet of Things) is jostling its way forward. Software is trumping hardware, there are tech starts-ups as far as the eye can see and everyone is either a cloud company or desperately trying to stake their claim on it. On the consumer front, Australians are entirely obsessed with all things mobile. Time spent on smartphones and tablets now counts for 59 percent of all time spent online. This has ramifications for everything we do from a PR standpoint and how our clients need to view their customer communications and engagement. How is the tech landscape changing in Australia – Are you seeing disruption from smaller, new kids on the block tech firms and how are the established brands responding? Australia is well known for its small businesses and start-up culture and this is especially true of the tech sector. While funding and VC support is thin on the ground, many start-ups are enjoying high profile success, with companies such as Atlassian, who will shortly IPO, leading the crowd. As a result, we’re seeing established brands, which may have previously enjoyed holding a reputation as a ‘safe’ tech option, are now trying to reposition themselves as innovative and disruptive. For many, being known as a serious ‘challenger’ brand is a badge of honour. If you enjoy a good challenge – and we do – it makes it a fun time to be working in our market. Absolutely. For example, our company embraced technology from day one that allowed us to offer flexible work structures to our team. This approach better reflected the needs of the clients we work with and it also tacitly acknowledged the importance of work/life balance. The most pleasing outcome from our approach is that our staff churn rate is less than a fifth of the industry average and our client retention is phenomenal. In recent years we have seen seismic shifts by very large organisations to adopt this same work approach and we have found ourselves working closely with a number of businesses to develop change management and internal communications programs that support this shift. It’s not enough to just deploy great new technology – you have to comprehensively rethink how your business operates and how you communicate with your staff and customers about the changes. What big trends are you seeing in the marketing communications world and how are you having to adapt? Every day brings a new development in the marketing communications world. We are fortunate that we get to see behind the scenes on what these developments will really mean for brands (and consumers) thanks to many of the ad-tech companies we work with. However, it takes a keen eye to distinguish between the trends that matter and those that don’t. Undoubtedly one of the biggest shifts is the increasing importance being placed on owned and shared media – often ahead of paid or earned media. To some extent this reflects the macro trend of traditional publishers struggling to maintain profitability with their existing models. Simultaneously, brands are increasingly realising the possibilities in building their own channels and monetising their own content. Still, before a client wants to jump into one format or channel over another we need to step back and contemplate its impact. The reality is that a successful marketing communications campaign should embrace balance, so we’ve spent a lot of time over the last few years ensuring we bring our clients on a journey to understand this. Sometimes we find they harbour a desire to stay with the safe and known (often earned media) and others want to step forward into the ‘brave new world’. Both have the potential to succeed, but we find the clients that embrace all four elements are engaging better with their customers, building revenue streams and ultimately improving their bottom line. What channels are Australian businesses and consumers using? Do you feel that the companies you work with are really taking note of how their audiences want to consume information? If you were take a broad generalisation then I’d say consumers are all about mobile and social, while businesses are often more focused on desktop and traditional. Indeed, Australian consumers are often perceived as being two steps ahead of Australian businesses. That said, smart businesses are the ones that don’t rush into new platforms without having first analysed their customers to understand who they are and where they can be found. Often, it may be that the customer is best targeted via ‘desktop and traditional’ methods, but you won’t know that until you have clear research based insights. Overall, we are finding our clients very open to communicating with their audiences using a broader range of tools, mediums and channels that better reflect their consumers’ preference. What’s the big thing we’ll all be talking about in 2016? Two issues: smart working practices and the role of automation in business. Remote working, hot-desking and flexible workflow structures will be the hallmarks of the smart and successful businesses of the future. Those that aren’t already making plans to adapt will find themselves struggling with staff retention issues. Meanwhile, every sector of business needs to get a better understanding of how automation will fundamentally change our processes and systems. While vertical sectors such as manufacturing have well and truly worked it out, a surprising number of service-based professionals haven’t yet woken up to the big changes ahead. Next year I think the penny will drop and there will be some very interesting discussions on the issues.